It's the beginning of the month which means we get to introduce our guest designer, the fabulous Piali Biswas! Since we now have our facebook team dishing up new daily delights on our facebook page, I thought it would be extra exciting to have our guest designer featured there as well. 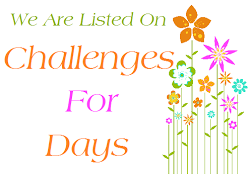 It's also time to search for a new guest designer to join us in July so let's talk challenge. CFC55: Show us your Clean And Simple stylings with bling. We're looking for gemstones, glitter, anything that will make your projects sparkle. 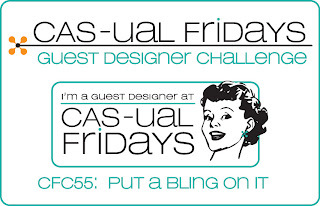 but will also earn a guest spot with the Girl Fridays for the July guest challenge! This week's inspiration parade is led by our honored guest! Hello!! 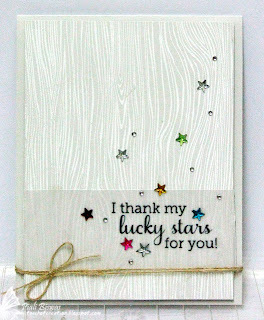 I’m Piali, wife, SAHM of two beautiful girls, cardmaker, papercrafter and scrapbooker. 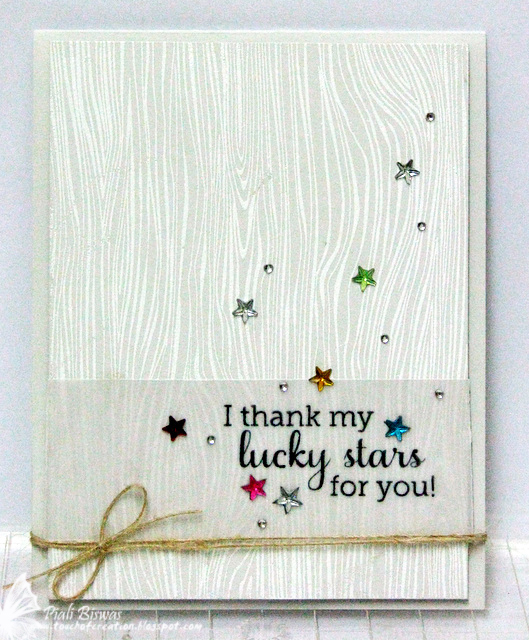 I joined the online craft community in June 2009 and enjoying every moment of it. I have been blogging about my creations at touchofcreation.blogspot.com. I love experimenting with new techniques and styles….. CAS style is my favorite. I have been so fortunate to have my creations published in several Papercrafting magazines and have designed for some wonderful companies. I am beyond excited to be the CAS-ual Fridays GDT for the month of June. A big thanks to Michele and CFC DT for inviting me!! We're thrilled to have Piali with us and don't forget to look for her on our facebook page too! I can't wait to get started. I love cards with bling! Thanks for a great challenge. Love to see bling and sparkle used in a CAS way. Dana - you rock black! I can't wait to play along! I love using bling on my cards! All amazing cards! Thanks for the inspiration. Wow, you ladies have outdone yourselves this week! Amazing inspiration! Fun theme and wonderful creations by the DT! Great challenge and perfect for my weekly Christmas card! what an oxy-moron....bling and CAS all rolled into one, but I love love love it!! What an ingenious idea!! Thanks for another great challenge!! Love all the sparkly DT inspiration! Thanks for this fun challenge!